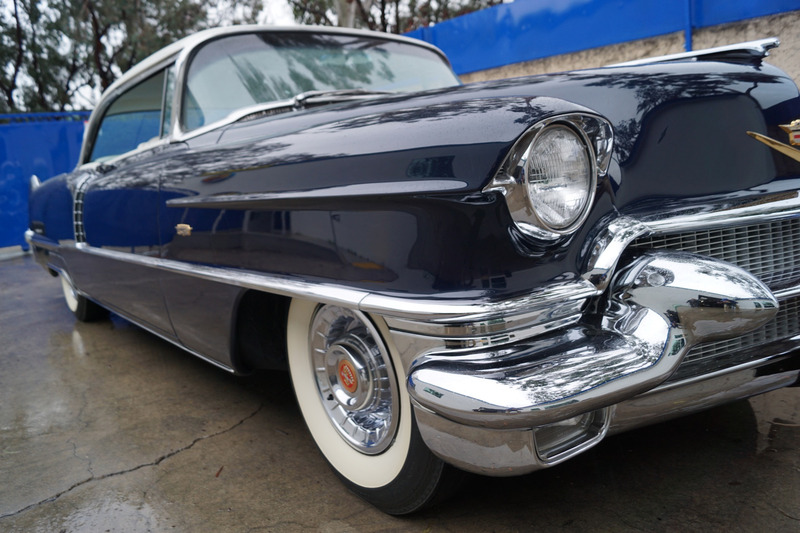 West Coast Classics are proud to present an absolutely exceptional and great daily driving and completely rust free original southern California example of this mostly all original 1956 Cadillac 'Series 62' 2 door Hardtop in a beautiful two-tone 'Alpine White over Cobalt Blue' color paint and with a gorgeous condition matching 'Alpine White over Blue' nylon and leather interior with factory specifications and options including power steering, power brakes, power windows, heater and defroster, 6 way power seats, fog lamps, original radio, back-up lights and it's original 365/285HP V8 engine! 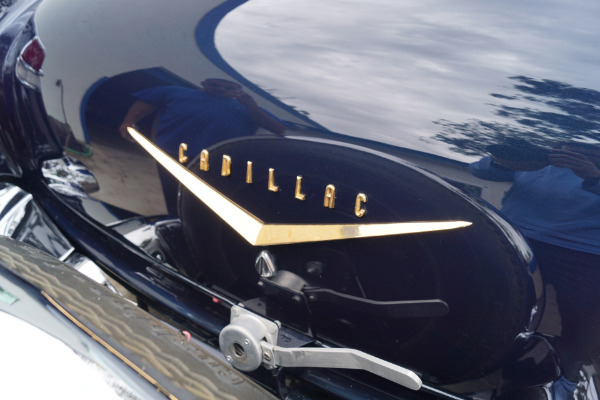 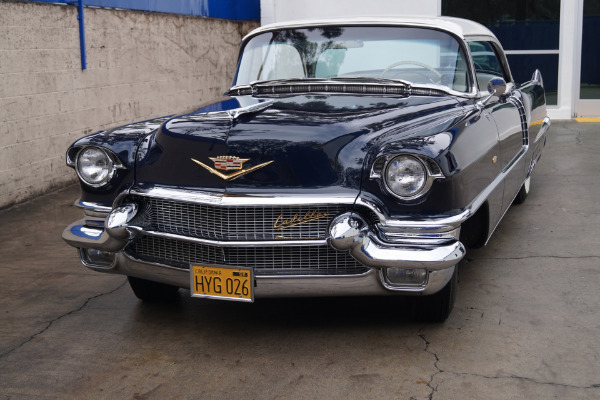 This is a truly superb example of a 1956 Cadillac 'Series 62' 2 Door Hardtop from a very fastidious and exacting long time owner's (25 years) collection, having been purchased from another long time owner (17 years) - both these gentleman were long time Cadillac La Salle Club members & well known Cadillac enthusiasts and this one of their most gorgeous & correctly restored examples - boasting a rare original Huddleston Continental kit and loaded with factory options for 1956! 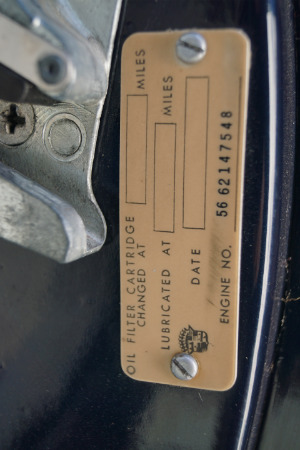 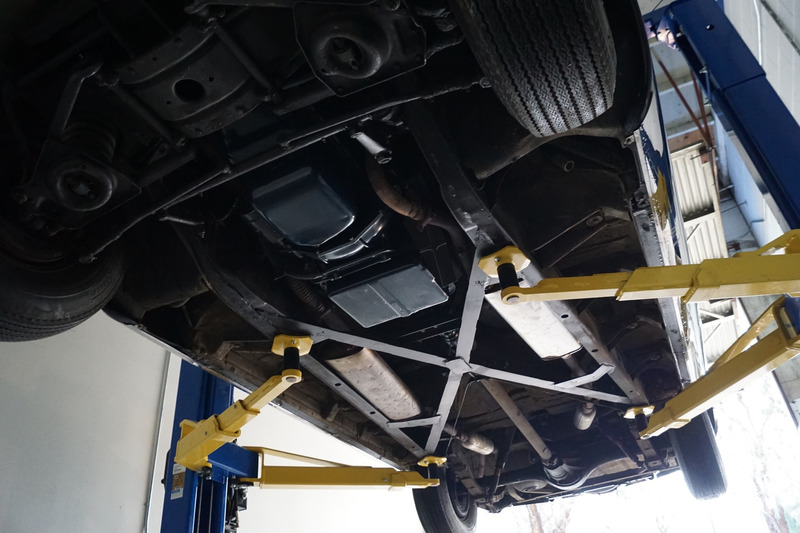 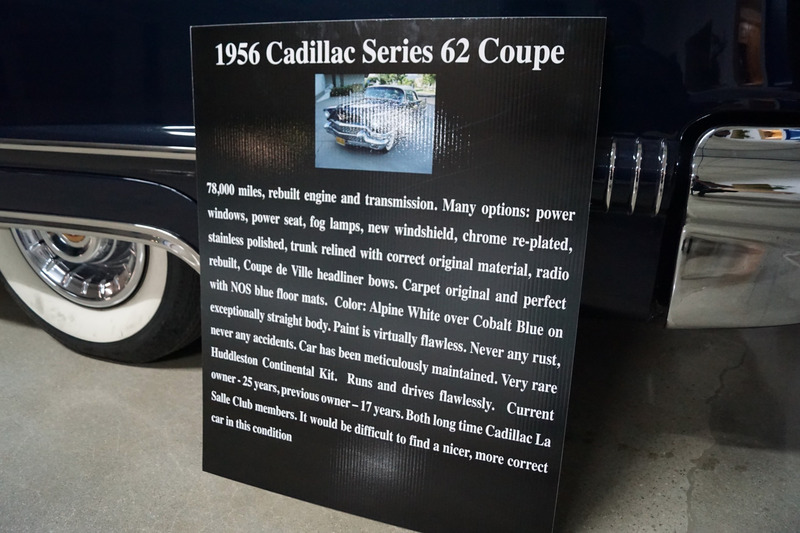 The car reportedly has 78K original miles, a rebuilt engine & transmission. 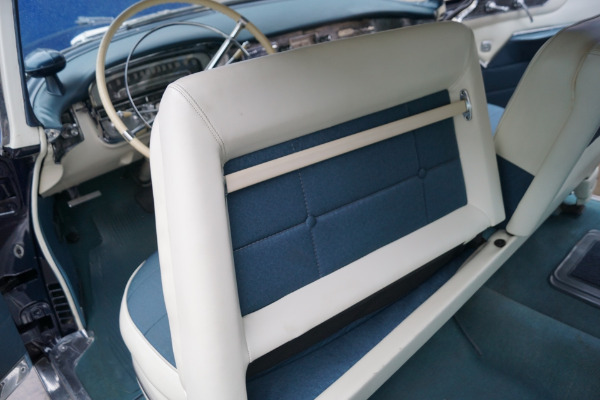 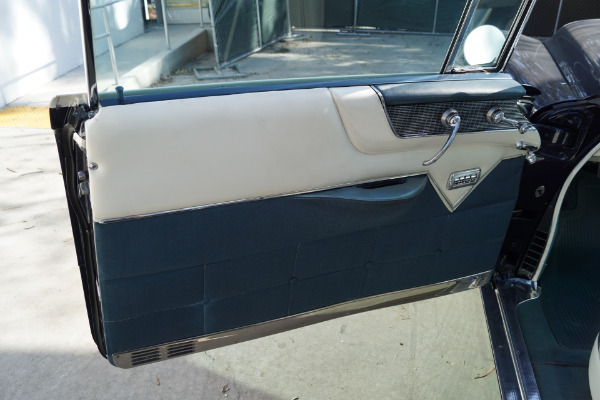 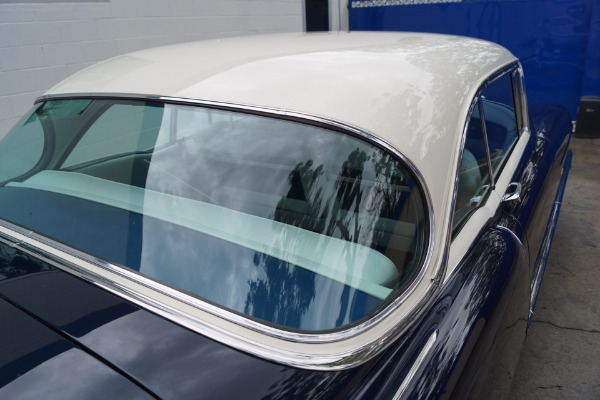 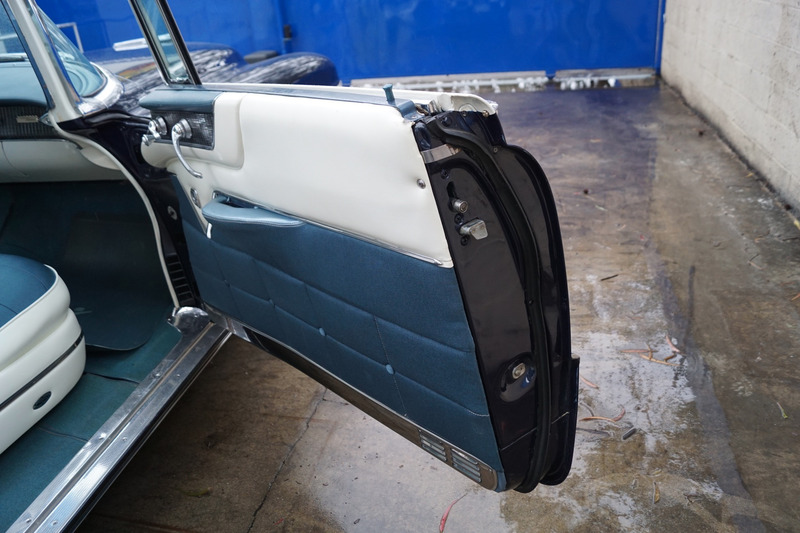 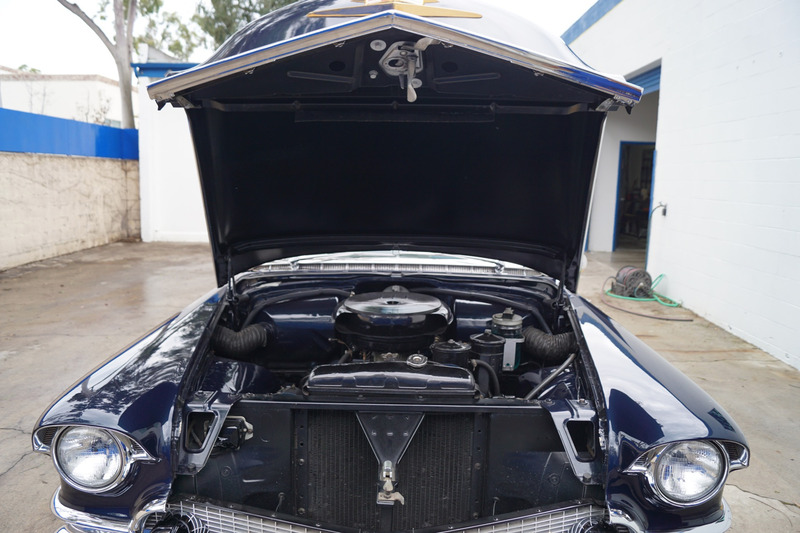 Options include; Power windows, Power seat, fog lamps, rear center armrest, rocker panel moldings, rear fender skirts and the car has re-plated chrome, all the stainless is highly polished, the trunk has been relined correctly with original material, the original factory radio rebuilt, it has Coupe de Ville headliner bows. 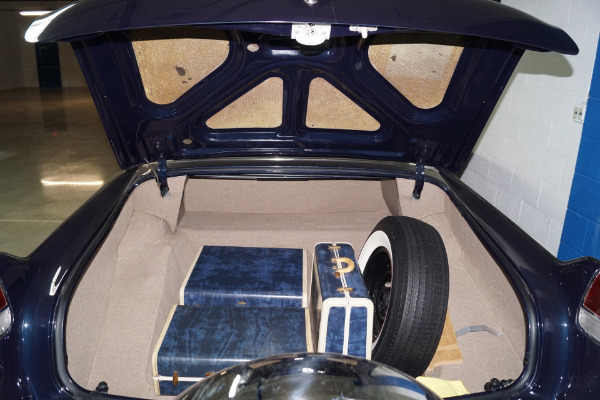 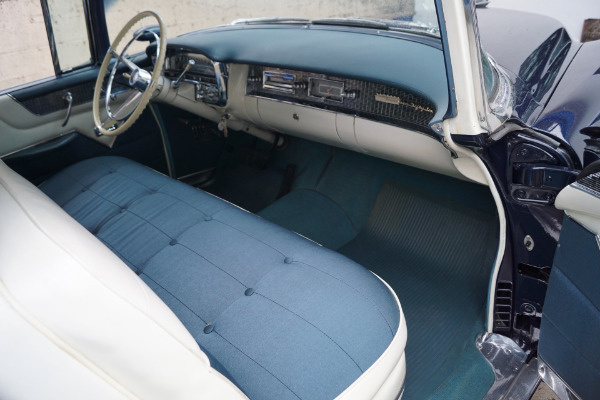 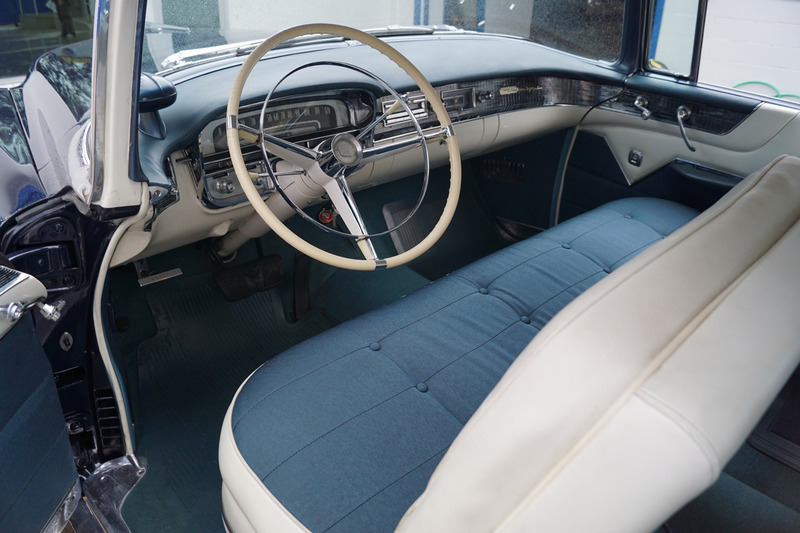 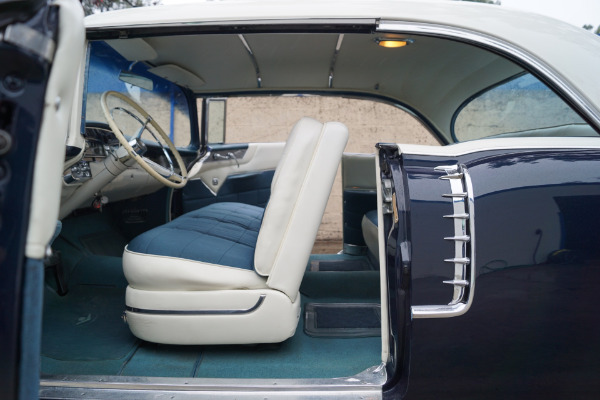 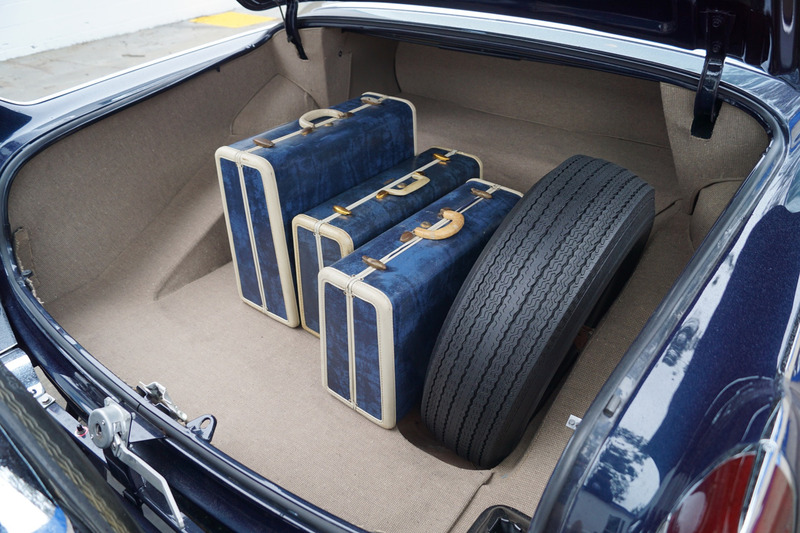 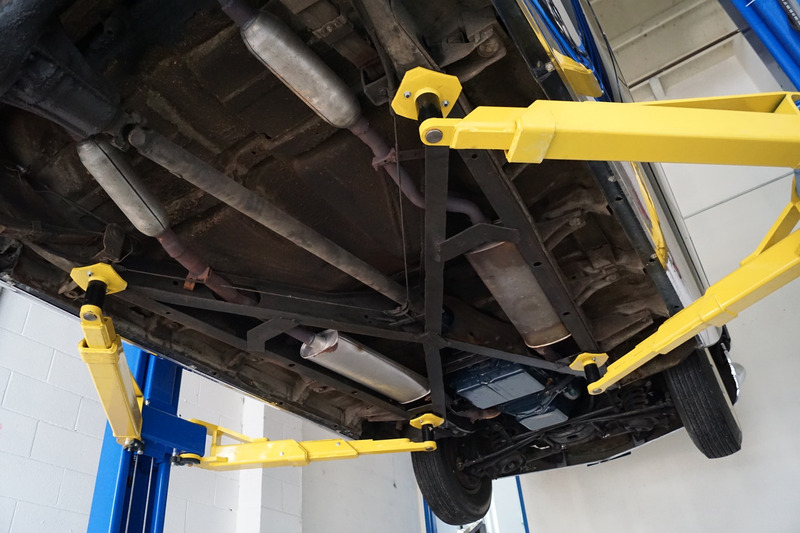 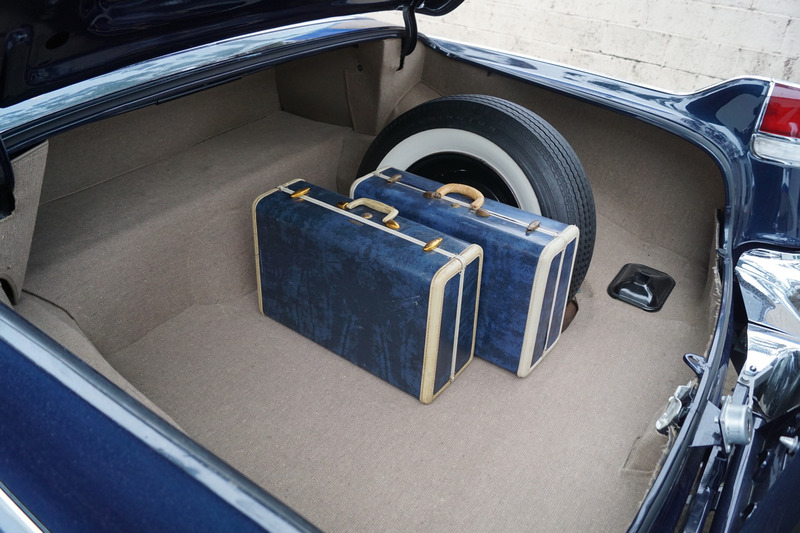 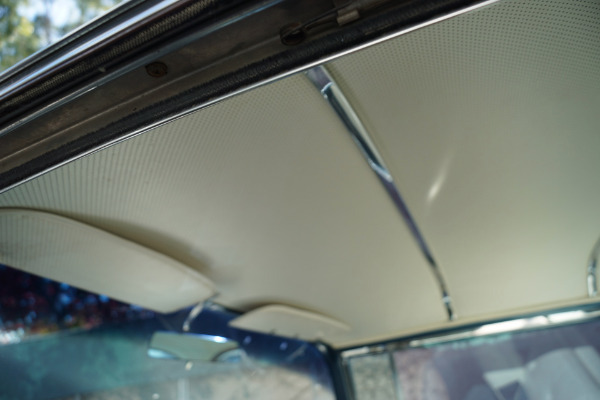 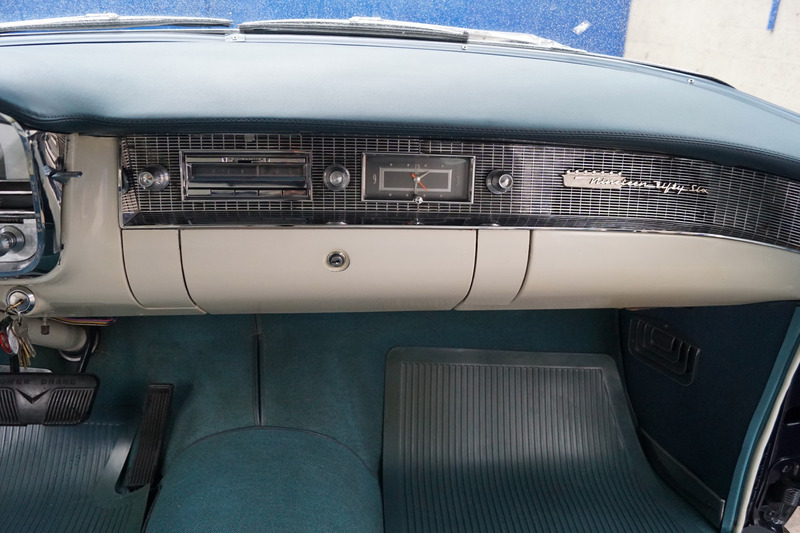 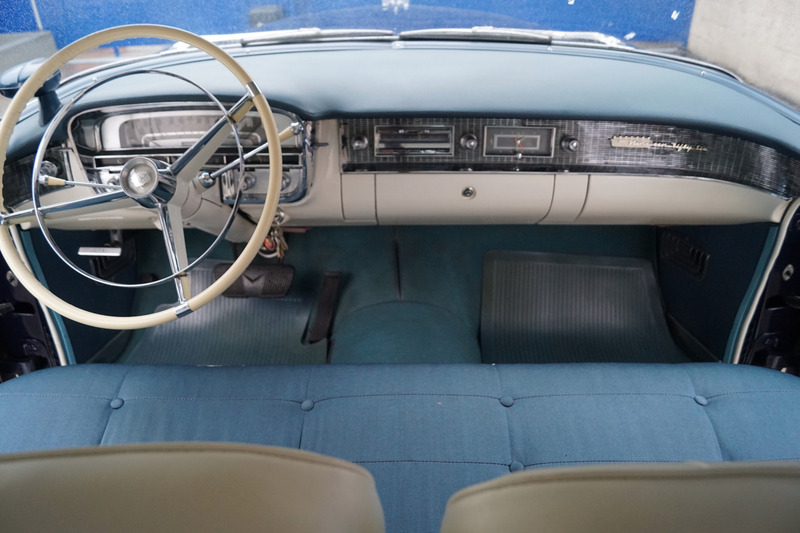 The car also boasts all original carpet in remarkably great condition throughout testifying to its careful and meticulously kept ownership history through the years with original NOS blue floor mats. 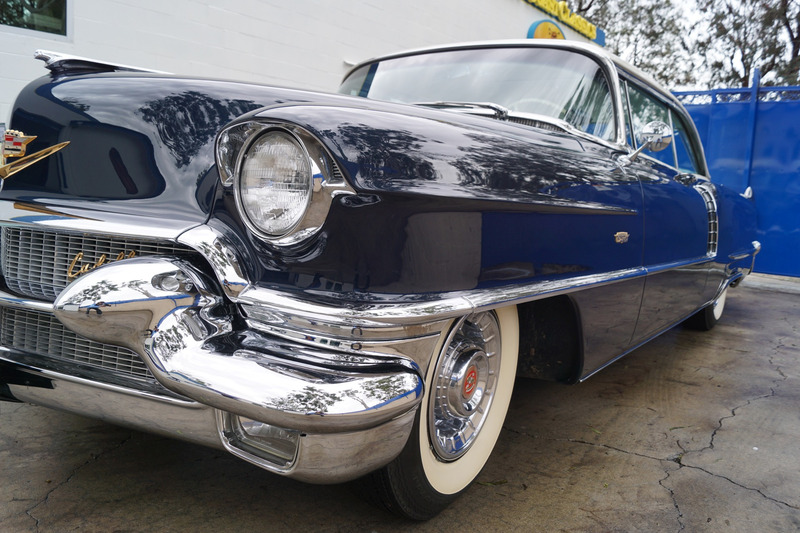 The car was repainted in a striking 'Alpine White over Cobalt Blue' two-tone color combination on an already extraordinarily straight body with the paint still being virtually flawless. 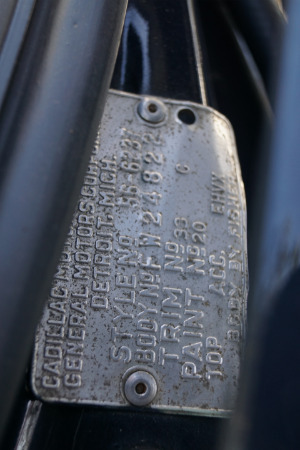 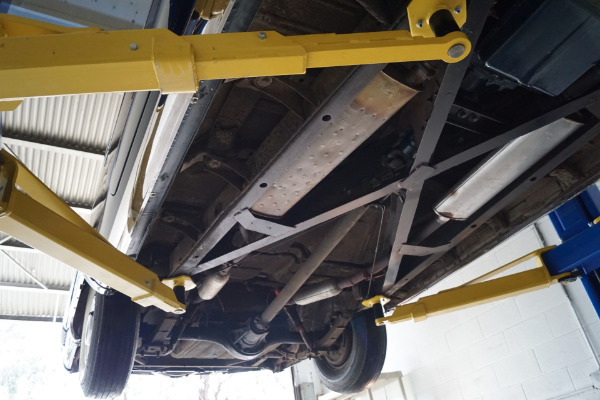 It has never been involved in any accidents, it has absolutely no rust. 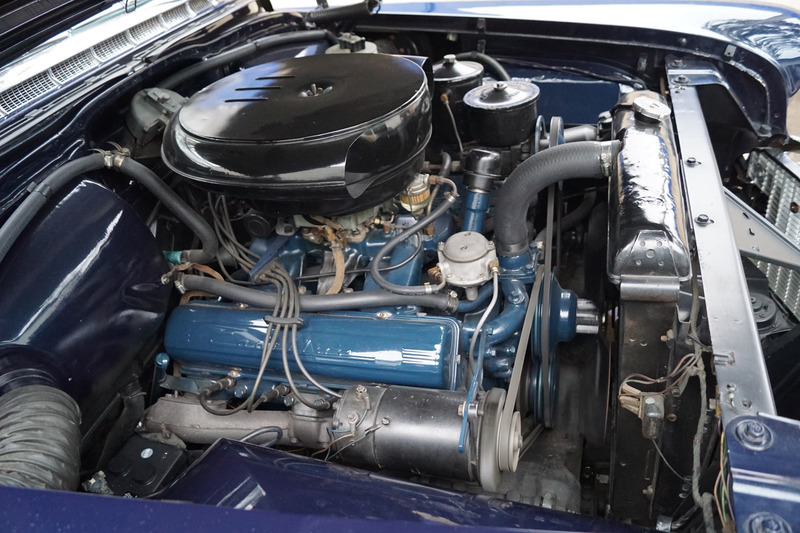 Meticulously maintained, hard, probably impossible to find a finer or more correct example anywhere! 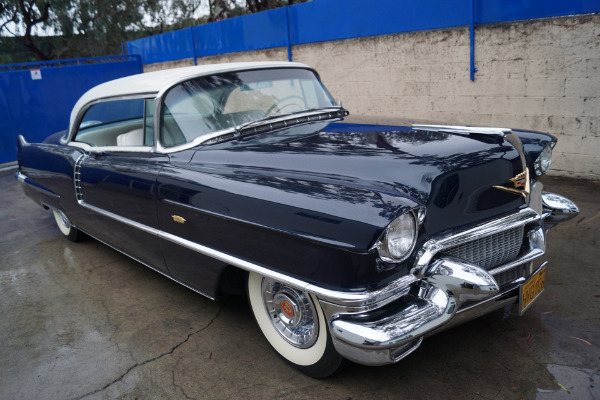 The 1956 Cadillac 'Series 62' 2 Door Hardtop was priced only some $200 less than the Series 62 convertible of the same year and was one of the highest priced cars of its day - and with good reason - fifties excess had virtually reached its peak with Cadillac boasting bigger cars with more chrome and larger fins than ever before! These cars bristled with the latest in modern appointments and had few rivals in the luxury market with a recession making owning one only for the very privileged elite. This particular example has obviously always been garaged and well maintained. 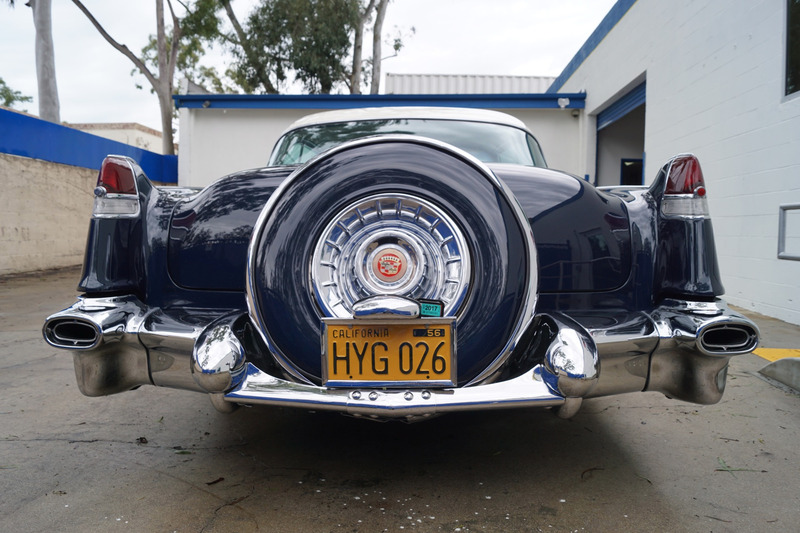 The floor boards, trunk and all the typical rust-prone areas are completely solid and rust-free and the car has no signs of any accidents anywhere - obviously an always cherished southern California 'Garage Queen' since new boasting its original and very rare and collectible original 1950's yellow & black California license plates! 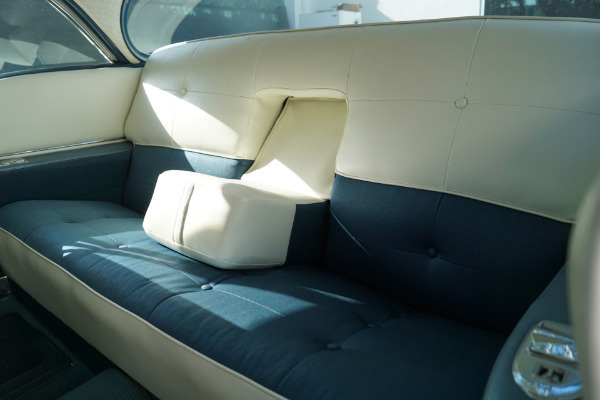 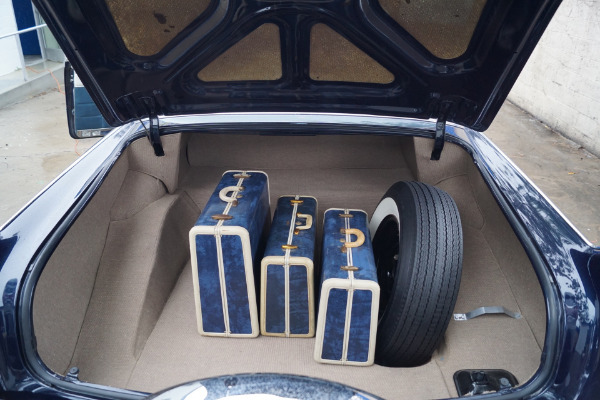 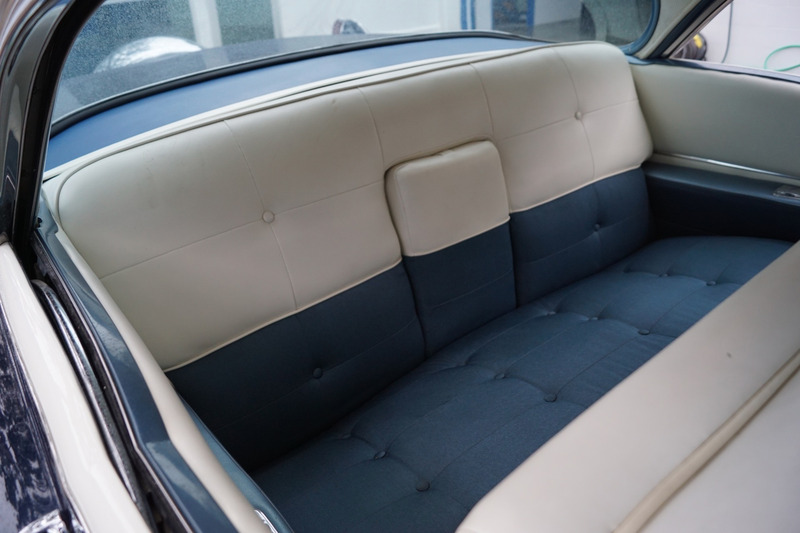 The car has probably one of the most striking of two-tone color combinations we have ever seen and a beautiful two tone 'Alpine White over Blue' matching Nylon & leather interior which is in exceptional and in correct original specification condition throughout. 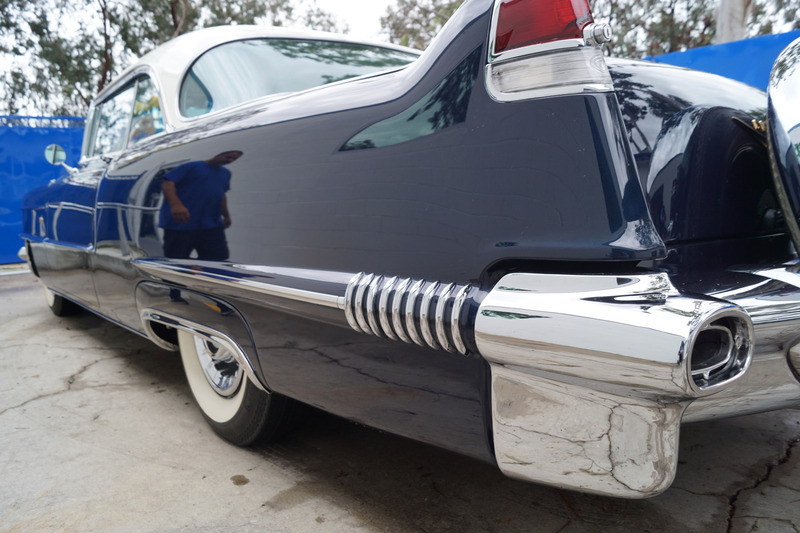 All the chrome is also in absolutely exceptional condition. 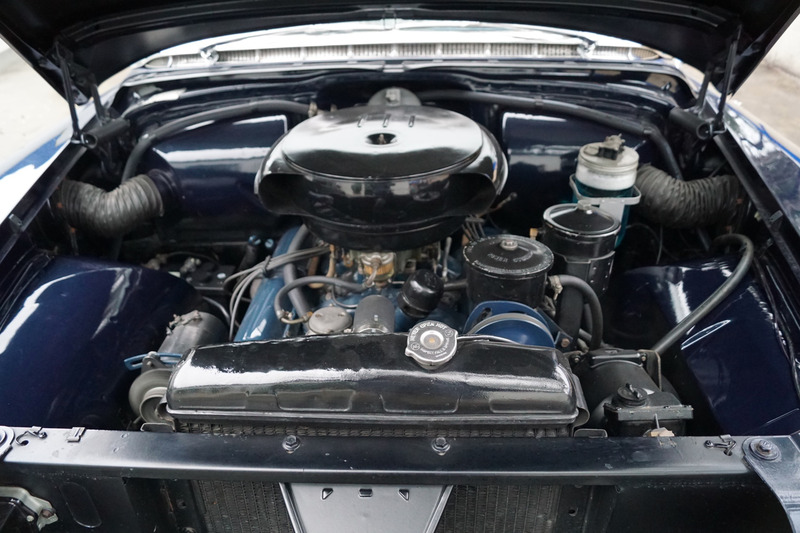 The 365/285HP V8 engine is extremely strong and powerful and sounds absolutely magnificent and this particular car drives absolutely magnificently - must be driven to be believed - does not miss a beat and purrs like a kitten - a truly remarkable daily driver that will give any modern day car a run for it's money! 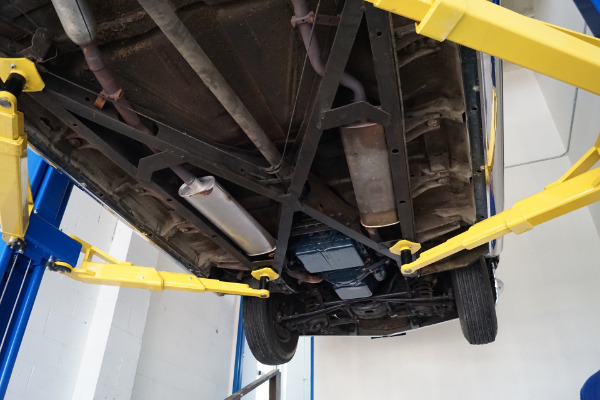 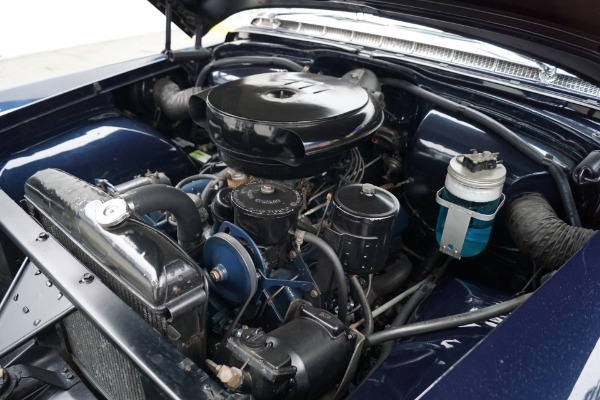 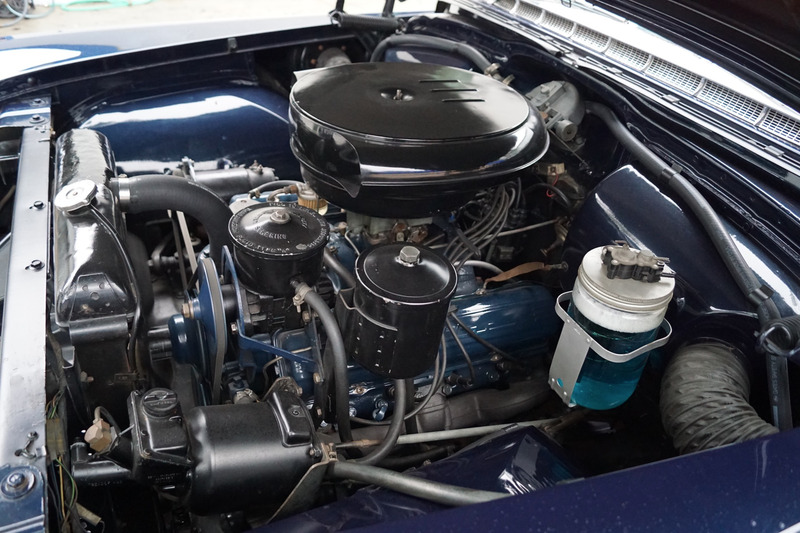 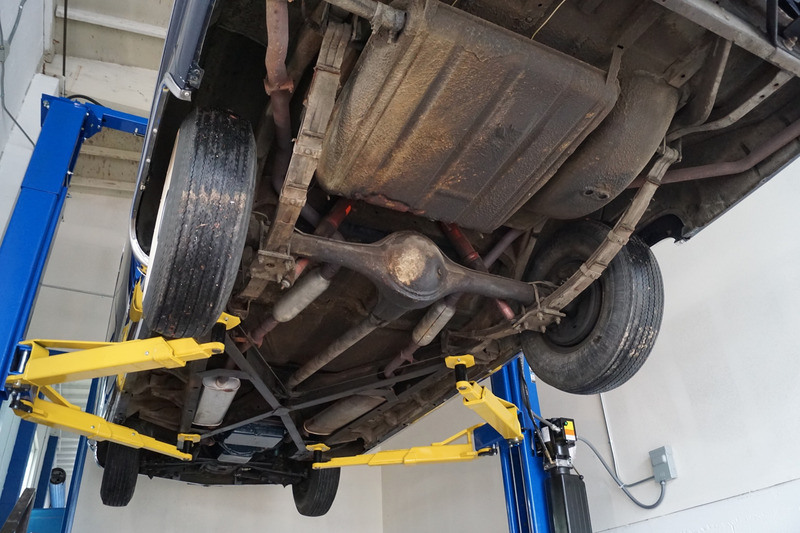 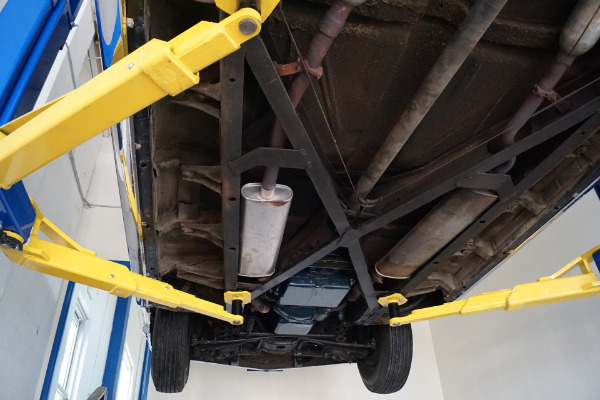 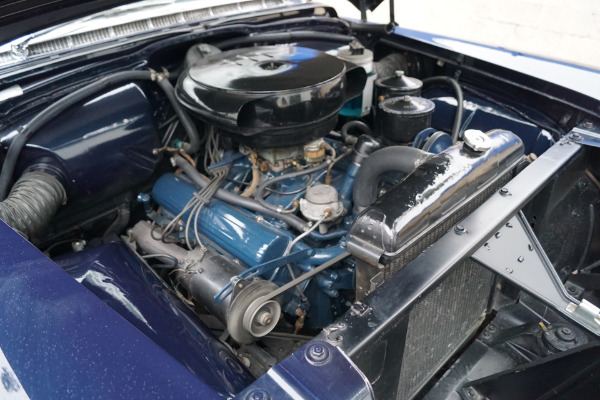 The transmission shifts smoothly through the gears and the car has four good tires and its original factory hubcaps and a superb and very rare dealer supplied (not after market) original 'Huddleston' Continental kit carrying the spare wheel! 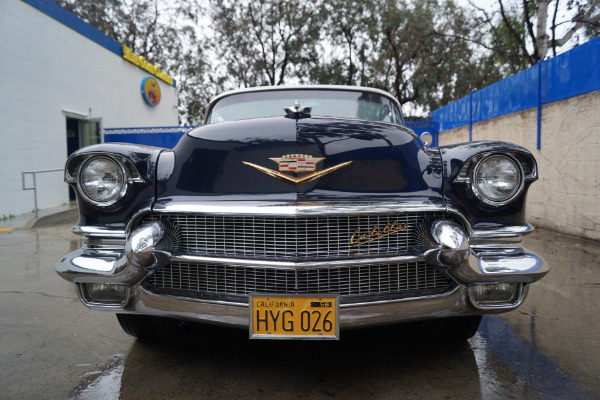 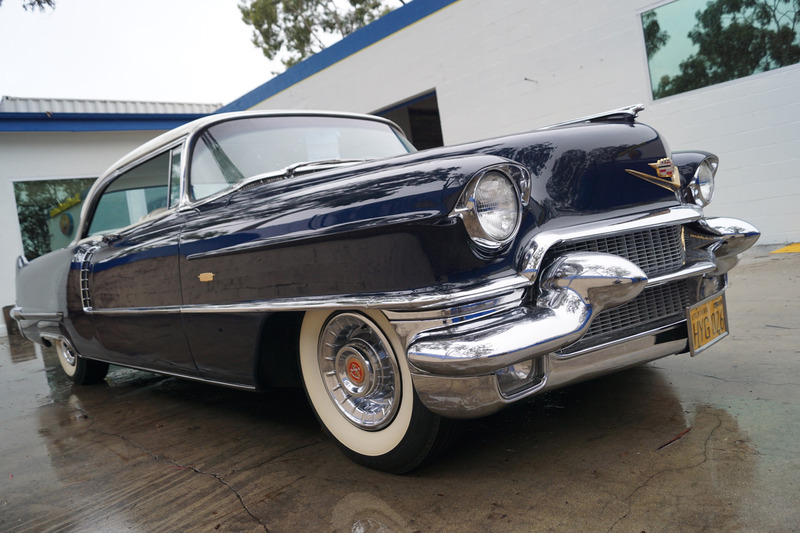 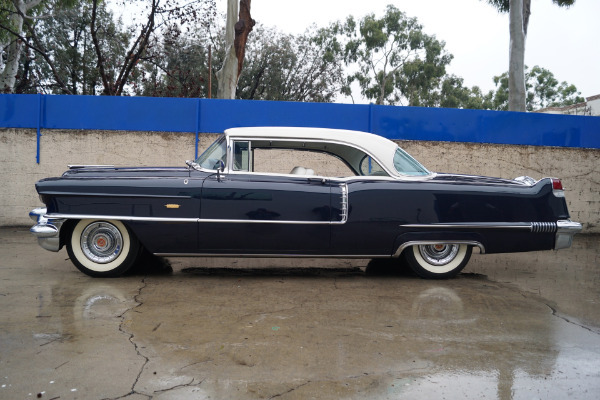 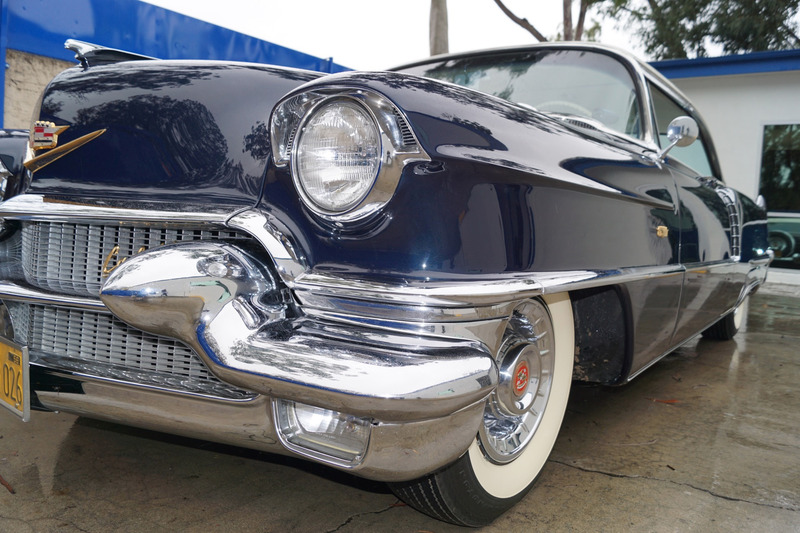 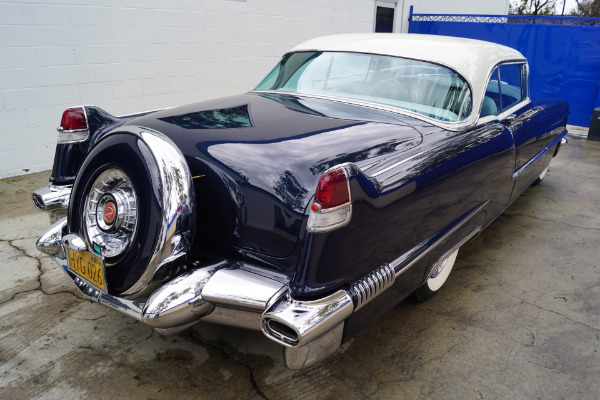 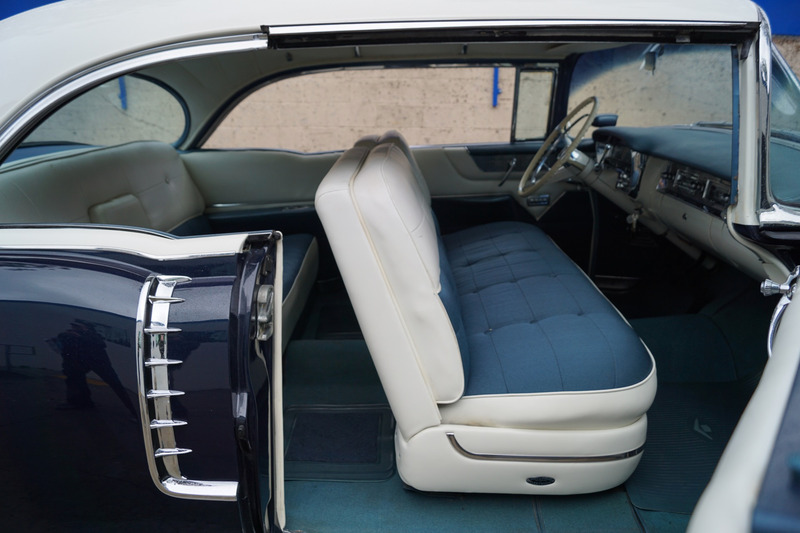 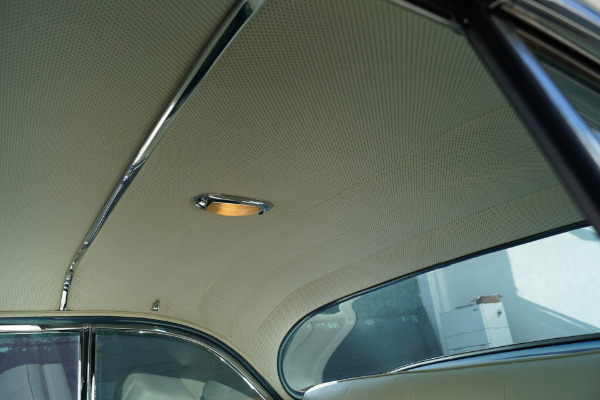 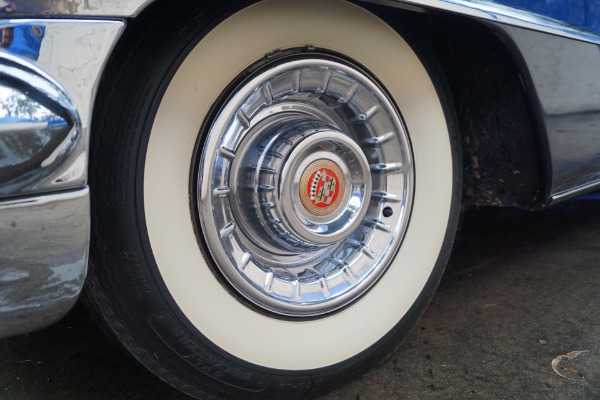 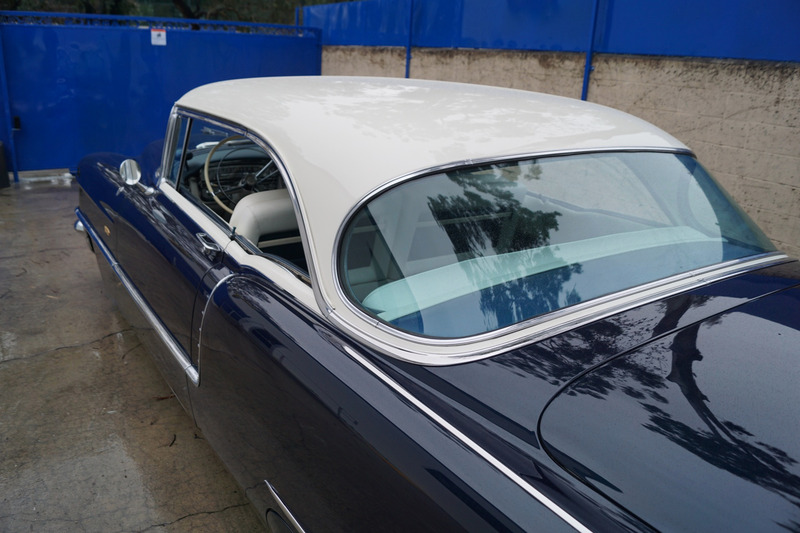 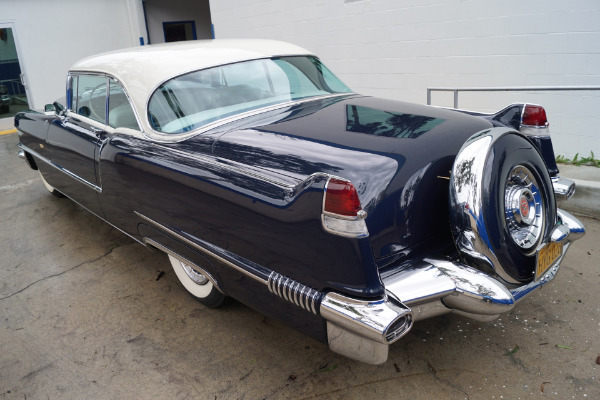 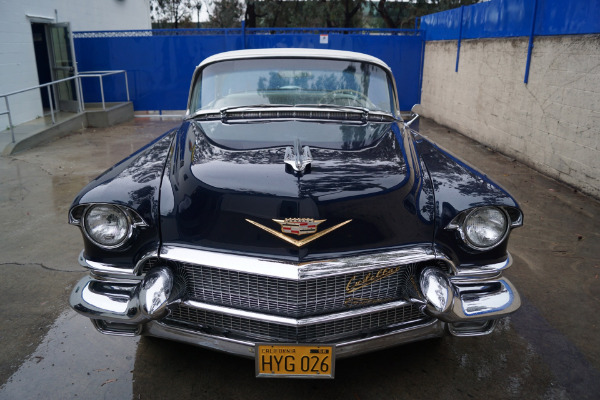 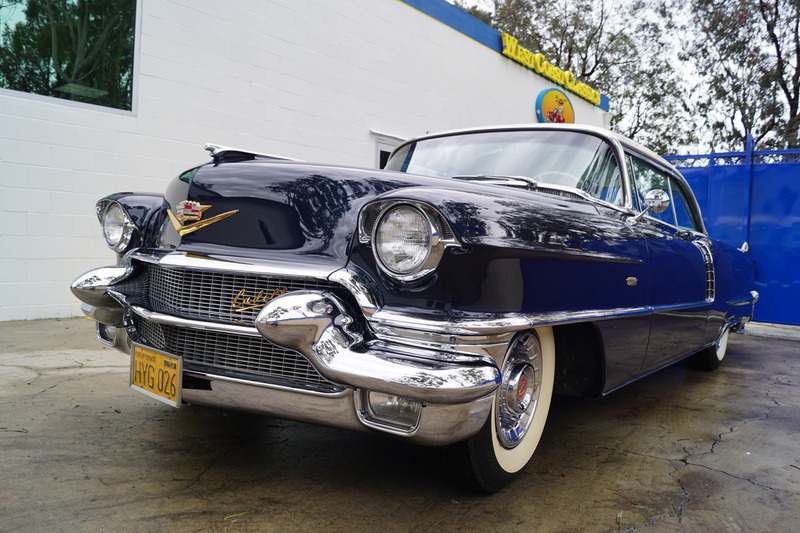 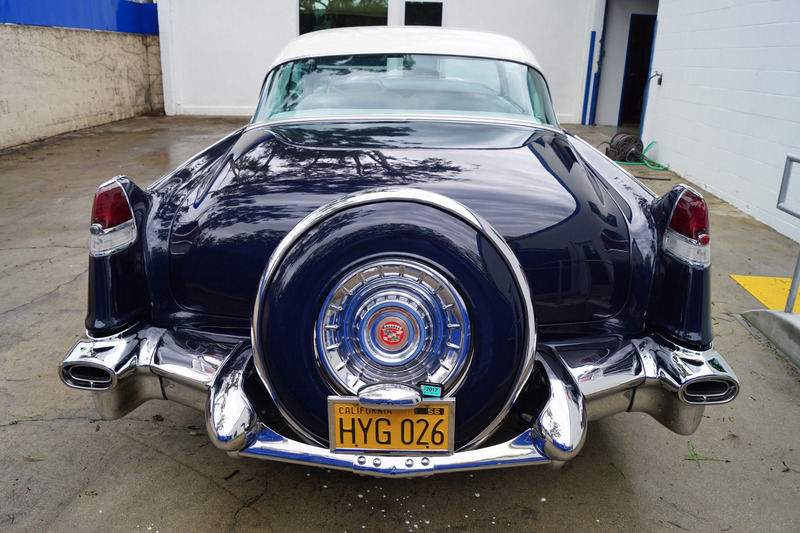 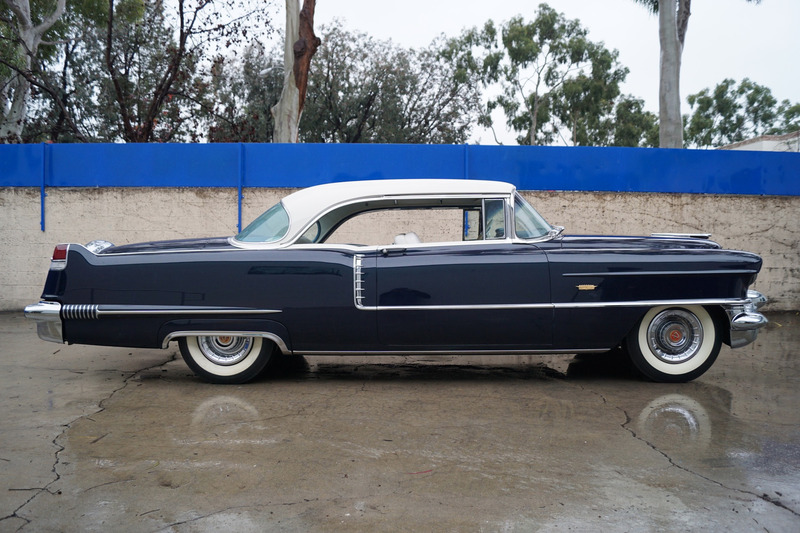 This is a rare opportunity to own a simply stunning example of a 1956 Cadillac Series 62 2 Door Hardtop for the serious Cadillac enthusiast or collector. Few more correct or finer looking examples can possibly be available anywhere else!